Bro. Carl and Sis. Connie Ballestero Sing Some Of Their Most Requested Songs! The Ballesteros sing with anointing! They sing old melodies that are dear to our hearts. Bro. Carl Ballestero’s beautiful tenor voice was a great complement to his ministry. He was requested to sing everywhere he went. Sis. Content “Connie” Ballestero is well known for her beautiful vocal harmony and unique style of playing the piano. 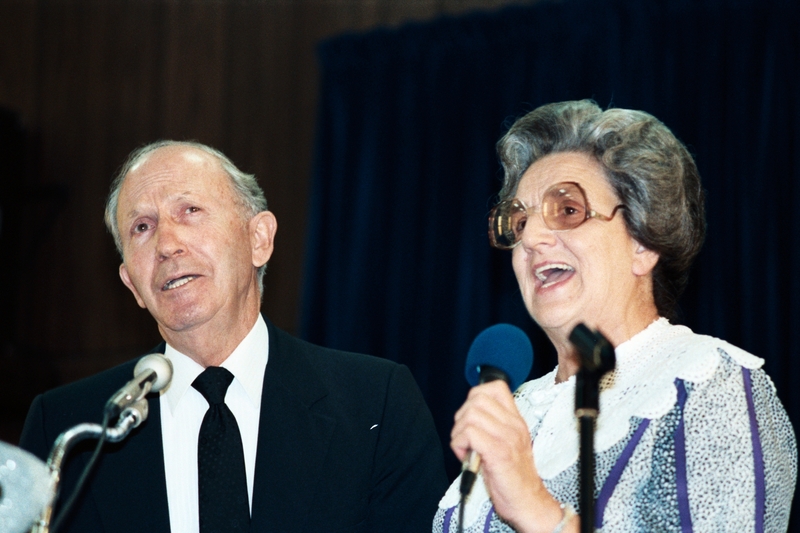 She would always bless the congregations with testimonies that were never forgotten. The date and location of this amateur recorded session is unclear. What is certain, is that this was not an attempt to be professional, but rather a preserving of memories. Sis. Ballestero is playing the piano, but the names of any other accompanying musicians are unknown. *More songs will be added as soon as possible. What treasures!!! I miss their singing so much. Was just listening to them yesterday!! Love, love! You are blessed to have your parents recorded singing. YOu can feel the dedication and commitment! others to enjoy here at FPC in NLR, Ar. Bro. Marty, I was just listening to your parents sing some of the old songs of yesterday and was filled with nostalgia. Beautiful to sit and enjoy the presence of the Lord as they sang. There was just something about the anoiting of those old, but new songs. God bless you for sharing. It made my evening! Love you and my “sis” Marcia. Thank you for sharing these old songs of your parents! I loved to hear them sing when he would preach for Bro Spell and at Camp Meetings. Last time I got to hear them was at Life Tabernacle in Baton Rouge, July of 1996. I still have the cookbook your mom was selling, that their church had put out. Priceless! The Oldtimers had such a passion for The Truth. Today, I prayed for The Lord to take me back, to remember all the things I was willing to give up, If He would just fill me with the Holy Ghost. I want to stay a saved and willing vessel of God. I got the best of my trade.I love the Holiness way of living and I aim to make it all the way. Thank you for the inspiration you give.New Bethel loves you. Marty it is wonderful to keep your parents singing aive. How I have longed to hear my parents voices, but we didn’t have recording equipement.I love your blogs and all the information of family connected with it. O’ what memories, thanks so much for sharing. If only we could turn back the clock.Thanks so much for your blog. Every now and then I’ll hear your Mother singing during worship. It’s just a little hard not to get emotional when I hear her voice. Thanks for these precious songs. It brings back many memories. I love the singing! It brought tears to my eyes while listening. Thank you. Thanks so much for sharing. What a heritage. I’m so thankful to have been raised under the leadership of your father and yourself. Precious memories-what a treasure. Bro. Ballestro, I can still hear your parents singing Acres of Diamonds. I had the honor to hear them on several occasions… Just wonderful! I was just a kid then I grew up under Bro. 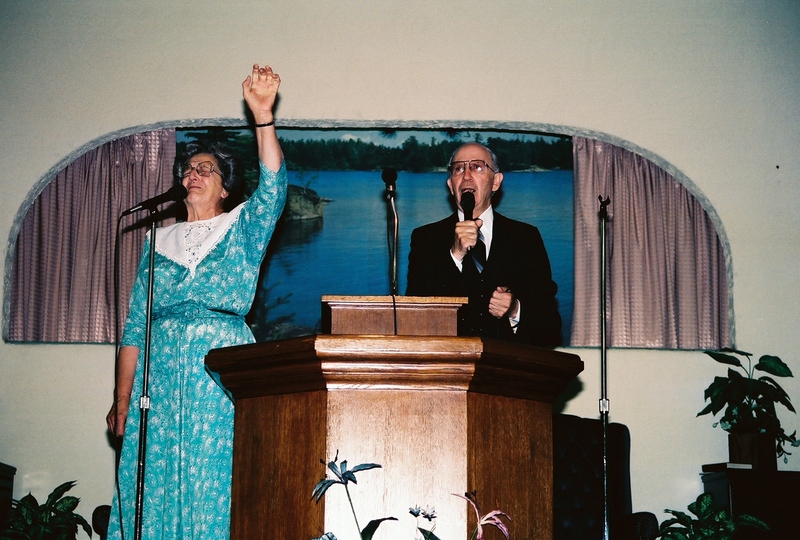 Bye they use to preach for us… I love it!! May God Bless! I was a saint at Truth Tabernacle in fontana,ca. where I first heard him preach and fell in Love with him, his preaching and their singing! I consider him one of my best friends.I am now at Inland Lighthouse Church in Rialto, Ca. with another very good friend L.L.Booker, my Pastor, along with Sister Ballestero and the Marxer family. He has had such a tremendous influence on my life,I miss him so much! I was fortunate to find a message by Bro. Ballestero (The Writing is in the Wall) on a podcast. It was dated 1969, bit still completely relevant in 2011! What a blessing to listen to. I’m so thankful I have a pastor who preaches the same type of holiness, apostolic message! I love this! I love Acres of Diamonds I had a preaching tape with them singing this song, and the message was awsome and you could feel the annointing and power of the Holy Ghost! just like you were there! his message was about how some people take this treasure for granted and he compared it to some who had earthly treasues in there back yard but did not know exactly what they had or the value of of there meager exsistence until they sold it for a small price and later to find out they could have had millions, but sold there treasures never to regain them again! 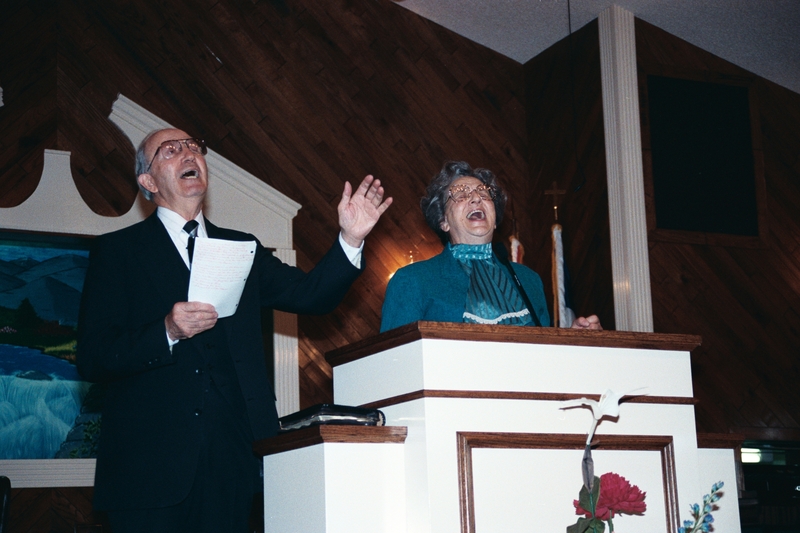 I love the way elder Carl Ballestero and Sister Content Ballestero sing. Can their music be purchased on cd ? It is downloadable for free. Right-click and save it. I Loved so much, listening to your Dad and Mother singing these old songs. IT was Beautiful, Thank you so much for sharing. I’m a 35 year old married mother of 4 young children and i yearn for this kind of preaching for myself, my children and the lost and backslidden to hear. We cannot survive these endtimes without the same resolve that these oldtimers had. I am determined and focused that this is were I’ll pound my stake into to ground. The old time holiness way that says COME HELL OR HIGH WATER I’m holding out till the end!!! I will hold onto the old path and that includes the old songs and I will not let it die, at least not in our home! Bro Ballestero is right!! We need to sing those old marching songs! We truly are soldiers! Marching on to Zion. Praise God! Sticking it out to the end! Whoever may read this—be encouraged! Hold on to the old way, the highway of holiness! It’s not a thing of the past! Seek it out and never let it go! So thankful for this website! I would also mention the 3 sermons so far I’ve had the pleasure of listening to: Divine Interruptions, the evil winds of change, and God looked for a man. Also All of the testimonies from sis ballestero. And of course the music. What a feast!!! Hello, Sis. Sara. I so enjoyed your testimony!! I’m a 76 yr. old wife/mother of 2 boys – not in church, and never have been – due to my being backslidden for 34 yrs. during their growing years. But the Lord was able to bring me back on Jy. 20th, 2014. I’m much stronger now than when in my 30’s. My husband fought me ( he’s still here and being prayed for everyday!!). I was full of total fear of my husband back then, but this time the lord took it all away – after I had fasted and prayed for four days. And my husband (Jim) has calmed down – a lot. The Lord’s gonna save him. I dearly love the ‘old ways’ and the KJV, not the NKJV. Remove not the ancient landmark, which your father’s have set, Ps. 22:28. Had to look it up; have memorized several verses, but really – not many. One of my faves is Eccl. 12:13. It makes it so easy to live for Him – and it is!! No ‘temple’ worship, ritual washings, etc. Just obey His commandments. How simple that makes salvation. I love Him So.